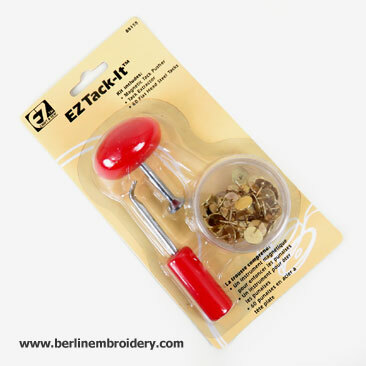 This very useful kit for Stretcher Bar Frames includes a magnetic tool to push the thumb tacks into a wooden stretcher bar frame (the tack sits at the end of the magnetic pusher so you do not have to hold the tack in position) and a tool to remove the thumb tacks from the frame. 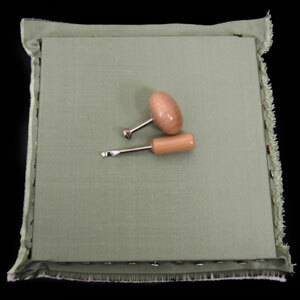 The pushing tool and the tack remover have smooth red painted wood handles or hardwood handles. 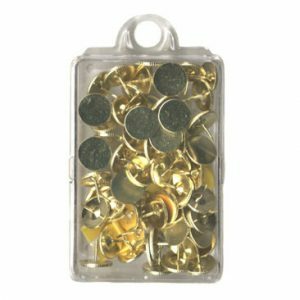 The steel thumb tacks included in the kit are strong and the heads do not come off the pins easily unlike regular office supplies tacks. The steel tacks are not quite as sharp as the brass thumb tacks that are sold in a separate box so it is good to have both. 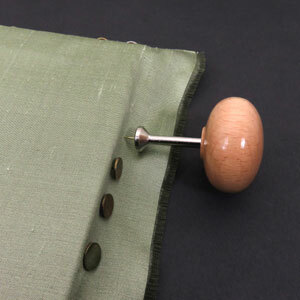 The packet includes 60 thumb tacks that have a strong, flat head and sharp points to the pins so are the easiest thumb tacks to push into wooden stretcher bar frames. 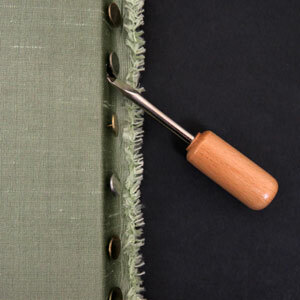 The heads do not come off the pins easily unlike regular office supplies tacks which can hurt your fingers. 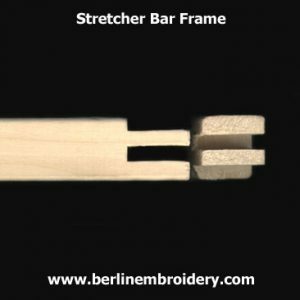 Please note this is a listing for 1/2 a stretcher bar frame. You will need to purchase two 1/2 frames to make a complete frame. My frames may not fit together with other manufacturers frames. 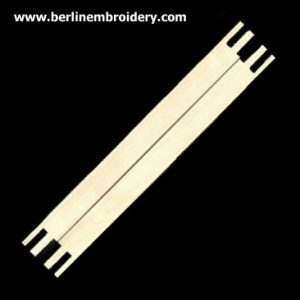 Stretcher bars are inexpensive wooden embroidery frames in which the fabric can be pulled really tight. 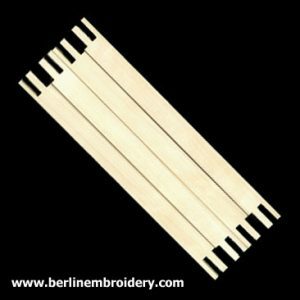 The end of the bars have teeth that you slot together to form a frame at any size that you require for your needlework. 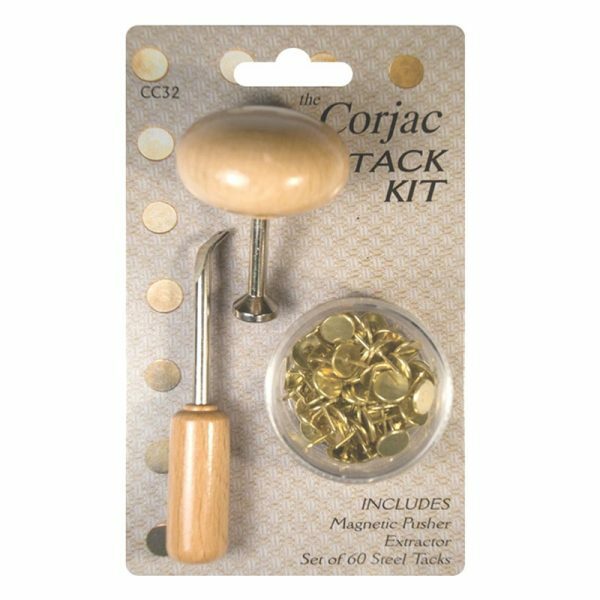 I highly recommend purchasing the brass thumb tacks which are stronger and sharper than office supplies thumb tacks or quilters thumb tacks.